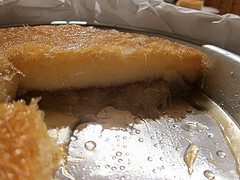 Sharlotta is a light, cool, refreshing, welcoming and nutritious desert. 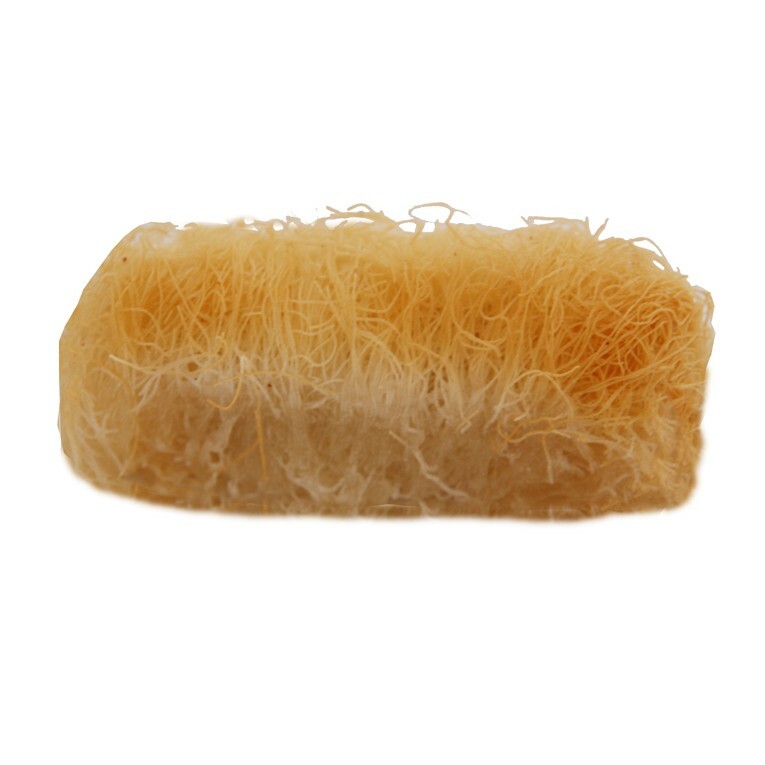 It’s a very popular desert on a hot summer evening in Cyprus, when people sit in their gardens or verandas enjoying the jasmine-scented breeze. The name is French and somehow found its way into the Greek culinary vocabulary. Remember that in the 19th and early 20th centuries, French was popular in Greece and a lot of French words were incorporated into the Greek language in the same way that we now find English words doing the same. Sharlotta has always been a very popular Sunday family desert. Housewives used to save leftover home baked cakes and use them as a base instead of sponge fingers, which, by the way, did not exist then in Greece and Cyprus! 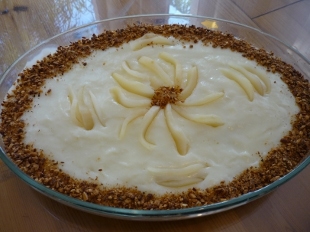 So this delicious and economical desert was prepared and enjoyed by the extended families – and as soon as foreigners try it they always add it to their list of favourite recipes! Nowadays, with the abundance of deserts available in the market, Sharlotta’s popularity has diminished especially among the young people. Although some cafes and hotels are beginning to offer it served in individual, elegant glasses, thus bringing back the lost grandmothers’ specialties! Dip the sponge fingers briefly in the syrup. Don’t let them soak! Mix 1 cup cold milk with 8 heaped tbsps corn flour in a small bowl. Add 2 tbsps rose water and 1 lightly beaten egg. Mix well. In a saucepan, mix 7 cups milk with the cloves, the cinnamon stick, the grated lemon zest and 1 cup sugar. Heat it up until just before the milk rises. Remove cinnamon stick and cloves.